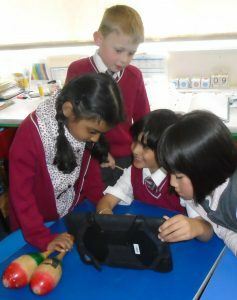 Pupils in Year 1 at Highclare Junior School are learning to use technology to create, organise and manipulate digital content. 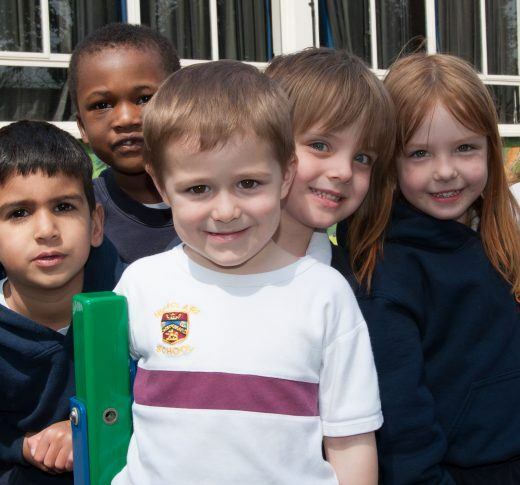 J1 at Highclare St Paul’s in Sutton Coldfield have learned how to film their role-play on school iPads while reading Handa’s Surprise by Eileen Browne. 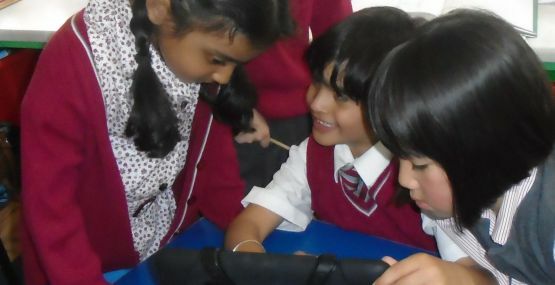 After making their recordings the children added musical soundtrack to their films. 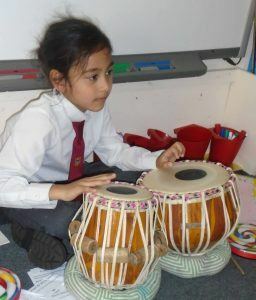 Yuvraaj Bhogal brought his Tabla, Indian hand drums, into school to play for his group. 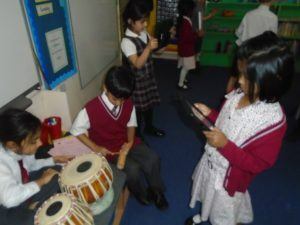 The children thought the sound was very evocative and having decided on a beat, they recorded one another as they played their soundtracks. Which sounds make the most effective soundtrack?